As if the earth waved a magic wand, the miserable St. Louis heat broke this weekend, serving as a harbinger of awesome times to come. Namely, October and Halloween are just around the corner. As such, I went after some horror this weekend, threw in a few cult-y classics that I’d never seen, and got my intellectual substance from a really tremendous British film about impairment. This is the movie weekend that was. The time it took you to read this caption is about as long as the actual monster was on the screen. It’s always fascinating to see non-Universal horror movies from the 1930s and 1940s. Everyone knows how Universal handled the genre, but efforts from the other studios are hiding in the dustbin of movie history. The Undying Monster is certainly an example. 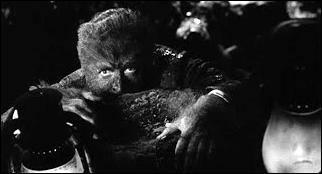 It was 20th Century Fox’s attempt at a werewolf film just one year off of the success of Universal’s The Wolf Man. And while The Undying Monster was a perfectly reasonable film, it’s easy to see why The Wolf Man emerged victorious over the course of film history and nostalgia. The Undying Monster lacked the same sizzle, often coming off instead much like a traditional dry British mystery rather than any sort of horror or monster movie. That’s not to say The Undying Monster was a bad film- it was perfectly adequate and it pursued at least a few of the same subtexts of most classic werewolf films. It simply isn’t much of a monster movie. Bruce Robinson’s Withnail and I invites comparison to two films that have since come in its wake. The first and most obvious is Fear and Loathing in Las Vegas (1998). Withnail is a comparable impairment-and-buddies period piece road movie, but toned down, more subtly humorous and absurd, and generally more British. The second is the recent The World’s End, which also deals with themes of impairment, coming to grips with maturity, and the horrors of quaint country village living. Gary King (Simon Pegg) is even a fascinating mashup of both Withnail, and I, sporting the black duster of “I” (I don’t think he was ever given a name) and Withnail’s dedication to impairment. Stylistically, you can’t miss it. Withnail is a great film in so many ways, and I wish I’d seen it 15 years ago instead of now at age 37. You have every right to ask why I watched this. And I can’t really give you a decent answer because I knew it was likely going to be bad. It was. It’s a franchise that has killed itself by going to the well too many times. It has completely exhausted any fresh ideas and now teeters on absurdity. 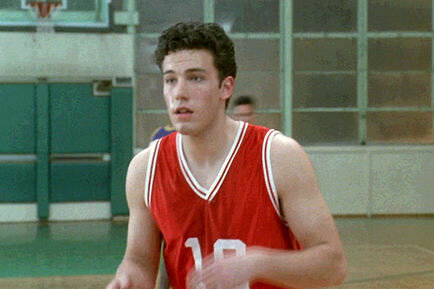 Why yes, indeed, that is Ben Affleck. Believe it or not, I had never seen Buffy the Vampire Slayer until this past weekend. I still haven’t seen the TV show, but that’s a matter for a different time. The Joss Whedon-scripted movie works perfectly fine for what it is- a dated, goofy satire of valley culture wrapped up in a Joseph Campbell-style hero’s character arc… like, about vampires. OMG, you guys! What’s amazing is the army of well-known (after the fact) actors and actresses who made appearances. Hilary Swank, Thomas Jane, Ben Affleck, and David Arquette all had roles well before anyone knew who they were, as did a completely unrecognizable Paul Reubens (Pee Wee Herman). Buffy was nowhere near as bad as I feared it would be (and even assumed it would be way back in 1992 when I first heard about it). Now, it’s a fun slice of the early 1990s, itself an already dated parody of 1980s culture. On the whole, it’s an oddity of a film, a movie made for kids yet possessing some scenes that would give a very young child a stutter. I’m really not sure who I would ever recommend this movie to, if only because the groups that might enjoy it are so different from each other. David Bowie fans, young readers of fantasy literature, and Jim Henson aficionados- try cramming that into a Venn diagram and you’re not likely to find much common ground. The concept alone is wild and wacky and fun. While advancing through Germany during the end of World War II, Soviet troops stumble upon a horrific Nazi lab where Dr. Frankenstein’s grandson is conducting experiments on human corpses, turning them into steampunk-style undead Nazi super soldiers. Unfortunately, they execute it in a found footage style, which detracts from the film (and was completely unnecessary). But the real star of the film is the experimental soldiers. They’re completely grisly, inventive, deadly, and they’re all different from one another. They’re apparently from the mind of director Richard Raaphorst, and you can see some of his concept design here. The steampunk undead Nazis alone carry the film through some sloppy and mediocre (or worse) moments. They’re worth the price of admission. I can’t concentrate on The Labyrinth because all I do is stare at Bowie’s massive package. Seriously, that bulge is distracting! Ha… it’s impossible to ignore, really. My wife is fascinated by ‘Labyrinth’-must be the package. That or the goblins or Jennifer Connelly. have you seen the goblins’ package? Ooh La la! Bonjour Monsieur LaRue. How are ya sir? I had so much reading to catch up on here! There’s a Paranormal Activity 2, 3…and 4? I am brutally behind on new horror, Although I think I’ll be taking a pass on the Paranomal Activity sequels. “Steampunk-style undead Nazi super soldiers” is a fun concept, might have to check that one out. I am starting to feel mildly guilty about the lack of new horror reviews this year. I have two very interesting sounding horror films lined up to watch during the Van Film Fest next week though; Halley and The Oxbow Cure. LOVE Withnail and I…way past due to give that a revisit. I liked Paranormal Activity, kind of liked 2, liked 3 a lot more than I thought I would… and 4 was horrible. If you’re feeling adventurous, there are some awesome conceptual drawings for the creatures in Frankenstein’s Army. I only say “adventurous” because half the fun is seeing the creatures new, and seeing the concepts might spoil that. I’ve noticed it seems like you’ve been writing fewer reviews! I can’t wait to see what you have to say about the film fest stuff. 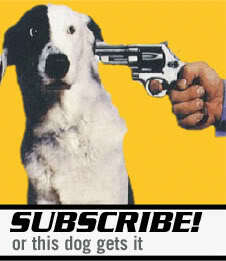 Your site’s one of a handful where I find out about all the fun, newer horror.